Indian classical music is all around us. The popular music that we hum or sing in the shower is rooted in Indian classical music. HumRaag is a collaborative project with Shoba Narayan, writer and Mint columnist. 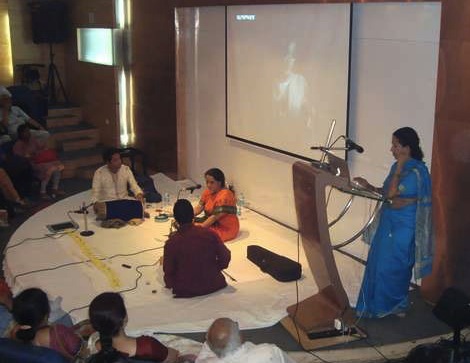 The project traces the roots of classical music in Indian popular music. After our first public performance in March this year at the Bangalore International Centre, the show is going on the road beginning on September 13, 2014. We will be performing in 6 different cities – Delhi, Mumbai, Chennai, Hyderabad, Bangalore and Pune over the next few weeks. For more details do check out our Facebook page at the link given below.